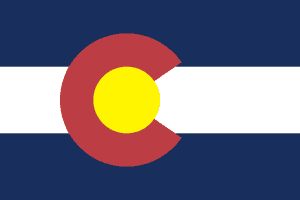 Colorado is among a handful of states that doesn’t require licensing for those working in HVACR. But it’s still important to be mindful of a number of related issues and fields before you venture too far into a project. It's also important to know that having an HVAC certification will only help you in your career even if it isn't required. It’s important to note that the HVACR field in Colorado is expected to grow rapidly - around 13.6% - during the next decade. An HVAC contractor on average earns about $45,000, with a starting hourly wage around $16.57 an hour. At the top end of the school, you could expect $36.84 hourly. Two areas that are interconnected do require licensing. HVAC techs have a lot to do with electrical work, so you may need to check out the requirements for an electrician on the state’s official site. Also, in some cases you may need to tie into the plumbing, which is also regulated by the state. In fact, electrical work with heating systems is included in the qualifying experience for getting your residential wireman, or your journeyman or master electrician license. Cities or counties within the state may have further regulations, so it’s always recommended to check with local authorities before going to work. Denver is Colorado’s largest city, so we’ll just summarize some of their local requirements here, too. The Mile High City has four classes of licensing specifically related to heating, ventilation and air conditioning: residential only, journeyman, and Class A and Class B supervisor. Refrigeration in Denver has its only licensing, divided it four categories: operator, journeyman, and Class A and Class B supervisors. Separation licensing may be required for work with gas systems, hot water or steam heat, and boilers. You can find more information at Denver’s municipal website. Of course, if you’re running your own business, you’ll need a business license, too. In Colorado, there is no state-level license; you’ll have to obtain the license from your local jurisdiction. It’s also important to remember that anyone working with refrigerants in any part of the United States is required to be certified by federal law. This is according to Section 608 from the EPA. You can find more information on EPA certification in our article. The beauty of the Rockies is accompanied by some pretty extreme weather in Colorado. Not needing an HVAC license can make life just a bit better, but be sure to check with local authorities to see if there are any specific regulations affecting your trade!